The third edition of this important book adds over 10 years of new data, facts and experience needed by professional case managers, administrators and students of case management. This new edition incorporates the impacts of the Patient Protection and Affordable Care Act, value based purchasing methods, care coordination strategies, transition planning, and case management software. Like the previous editions, the book is written to assist the professional and student, especially in the field of nursing, with practical guidance for understanding and mastering the techniques of managing cases in multiple healthcare settings: pre-acute, acute, and post-acute. At once practical and comprehensive, the new and expanded edition provides recent financial, legal and medical information required by case managers to succeed in the evolving environment of healthcare delivery. 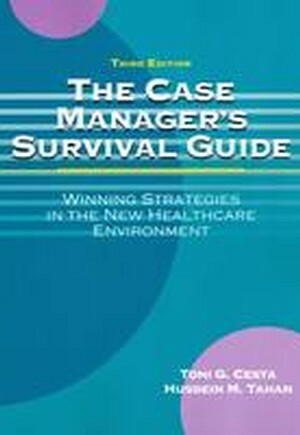 The Case Manager's Survival Guide is also a proven textbook, used by hundreds of instructors and students in university and continuing education courses, as well as by those preparing for the CCM exam. Some of the highlights of the book include: Revised, updated, expanded edition of essential book for case managers in nursing, healthcare and other professional disciplines New information on the ACA, value-based purchasing, accountable care organizations, emerging reimbursement methods, transitions of care, changing accreditation standards and much more A proven textbook for university courses, CCM exam prep, and continuing education.